Get to know our Spanish Schools in Spain! The demand for learning Spanish has doubled over the past 10 years and is ever increasing. Spanish is the second most spoken language in the world and is the mother tongue of 7% of the entire population. It is also one of the most important and influential languages in international business and politics. 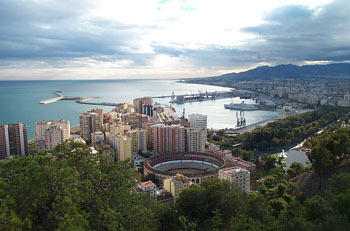 Malaga is situated on the southern coast of Spain and is famous with holiday makers thoughout Europe for its gorgeous beaches. It is a relatively small city making it easy to find your way around. The second largest Mediterranean port is found here, along with much fishing trade and tourism. The weather in Malaga is glorious with steady 23/24ºC average temperatures, however the heat rises in the sizzling summers. You'll find Muslim influences, castles and fortresses, and being the birth place of Pablo Picasso there are some wonderful Museums. Our partner Spanish Language School in Malaga is an ideal setting for beach lovers to learn Spanish, located accross the street from the beach! The school boasts a swimming pool to freshen up after a days Spanish classes! As well as outdoor classrooms and beautifuly kept gardens. The Spanish language school in Malaga is fairly small creating a friendly and relaxed study atmosphere. Although a partner school, you can count on the same exceptional staff, methodology, teaching materials and services. 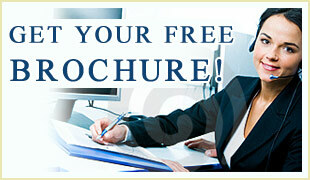 Find out what more Malaga Spanish School can offer you!